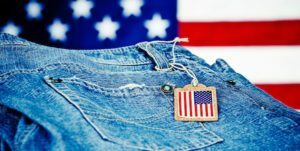 Every time someone buys a domestic made item they are supporting an American worker. And that is just one of the many reasons why we should make stronger efforts to use American made products. We have laws that control the working conditions here in the US. Therefore our federal and local governments can ensure that those working in the factories are provided with a safe working environment, along with being paid the proper minimum wages. That is not something we can say for those factories overseas. Many products overseas are produced in sweatshops where the employees are given terrible working conditions, unfair wages, unreasonable hours, child labor, and a lack of benefits for the workers. Is that something you really want to be supporting? Another reason to use American made products is that the US manufacturing processes leans towards cleaner, renewable, and eco-friendly practices. Along with creating higher quality products that will often last far longer than any alternate product made overseas. These are just a few of the many reasons we should be supporting our country by using American made products.